VIPCOLOR VP700e (Memjet) bulk tank dye ink colour label printer, 1600 dpi, fast. Best Seller: The VP700e has been our best selling wide label bulk tank high speed Memjet colour label printer because of its compact size and ease of use. Wide Colour Print: Based on the success of the fixed 8 inch wide 'waterfall' Memjet print head system supplied by 5 x separate 250ml bulk tanks ink tanks c, y , m, k, k (two for black) the VP700e is very economical to use. 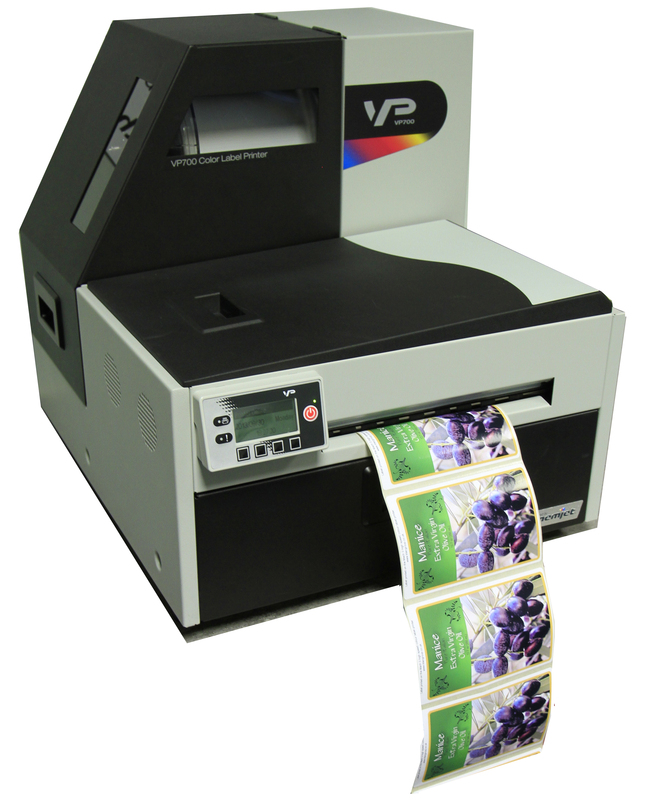 For example we install the VP700e replacing old black print only thermal ribbon printers, then our customers can print fully detailed colour labels popular for food and drink labels for jars, sandwiches or bakery. 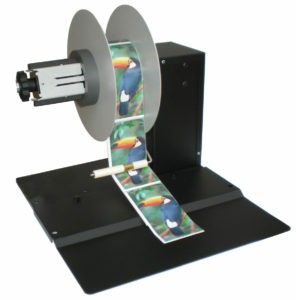 The large ink tanks means the lowest cost per label print possible by a digital desktop label printer. The ink cost used per label is often a fraction of a penny, about the same cost as the old style black only printer, but of course now with a full colour printer our customers can easily change the product details adding high quality pictures and logos whenever needed. The 1600 dpi colour near photo quality printed label is far superior to the old 300dpi black ribbon printing methods bringing much higher appeal to the labels with the ability to add more high quality printed details like instructions, ingredients and nutrition. Any size or shape labels: The VP700e handles most sizes and shaped labels from small up to 8 inches (203 mm) wide which is useful so you can design and print a greater range of labels in narrow edge lead (portrait) or wide edge lead (landscape) format. The print speed is fast at 12 inches (300 mm) per second so your labels are printed in moments. For example a 4 x 3 inch (102 mm x 76 mm) full colour label can be printed in say a third of a second, or 180 per minute, or 10,800 per hour wow! * VIPCOLOR added a useful feature in the software, a one click ‘bleed to edge’ setting and when selected it makes it easy to automatically overlap the label artwork a little to the die-cut blank label at the edges (printers bleed) so to make sure there are no white parts left even if the label registration moves a small amount as its printed. Label Design Software: The VP700e is without head and ink set so we ensure to supply a print head and a set of ink tanks to get you started and a Microsoft Windows Driver so to connect the printer to your favorite PC or LAPTOP computer software you use, or have a look at the free download of BarTender Professional here our most popular fully populated fully supported label layout software. Winder Option: Most VP700e users simply have their printed labels hanging off the edge of the table in a 'print and grab mode'. The compatible options include a motorised auto reversing roll winder to make neat rolls for use in our dispensers or in our automated applicators. Sample Print Service: Request sample label printed from you own artwork so we can show the quality and low cost per print to be expected and day on day savings possible from using this machine. Email us your artwork for free sample prints and costings.